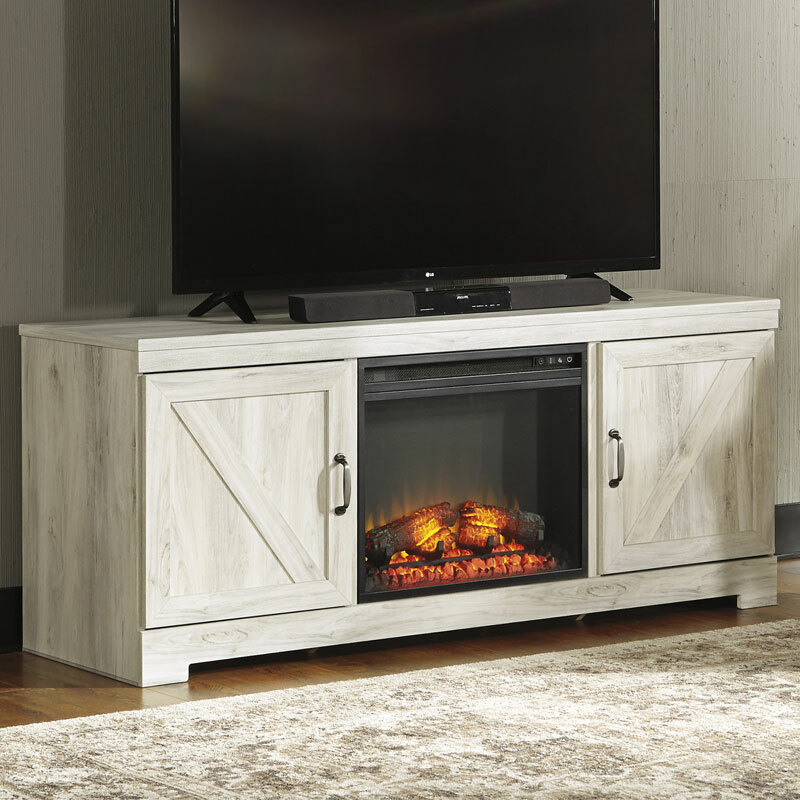 Express your farmhouse style with the Bellaby TV stand. Wispy white finish over replicated oak wood grain is a delightful change from the ordinary. Clean-lined, classic styling with barn door inspiration provides a country chic aesthetic that's a breath of fresh air.